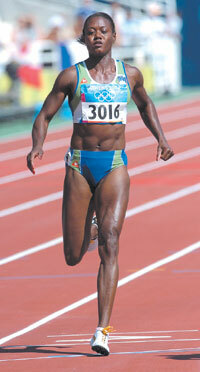 Merlene Joyce Ottey (born 10 May 1960) is a Jamaican-born Slovene track athlete. 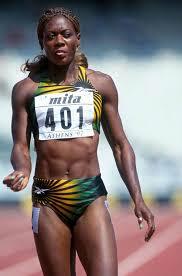 Ottey began her career representing Jamaica but since 2002 has represented Slovenia, where she now resides. 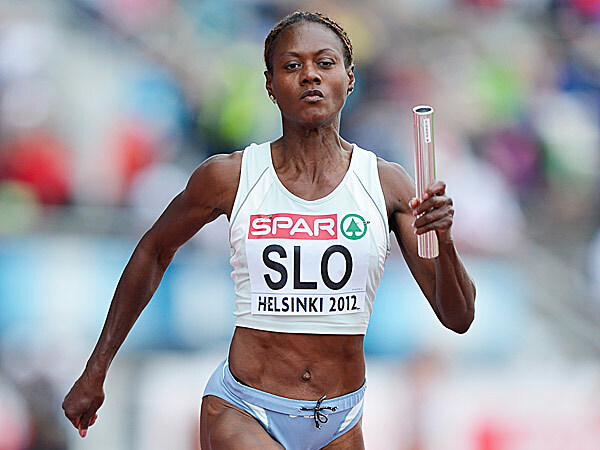 She is ranked fourth on the all-time list over 60 metres (indoor), sixth on the all-time list over 100 metres and fourth on the all-time list over 200 metres. 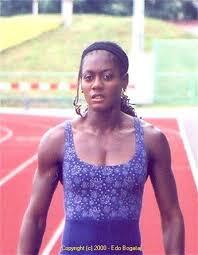 Her world indoor record for 200 metres, set in 1993, still stands (as of 2015). 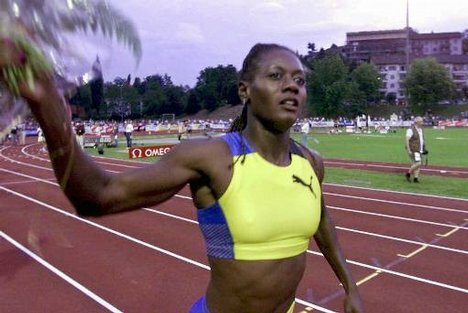 Ottey has had the longest career as a top level international sprinter, which apparently has not yet concluded as she anchored the Slovene 4x100 relay at the 2012 European Athletics Championships at the age of 52. 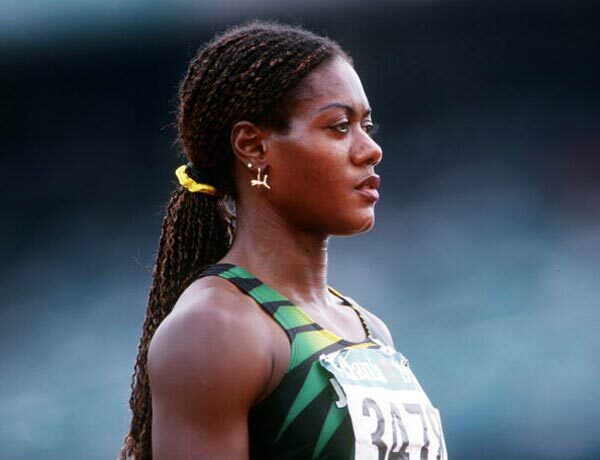 A nine-time Olympic medallist, she holds the record for the most Olympic appearances (seven) of any track and field athlete and for winning the largest number of World Championships medals (fourteen). 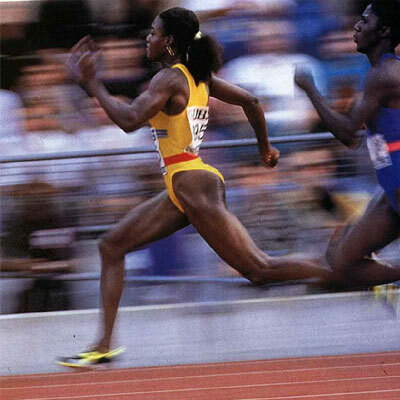 Her career achievements and longevity have led to her being called the "Queen of the Track". 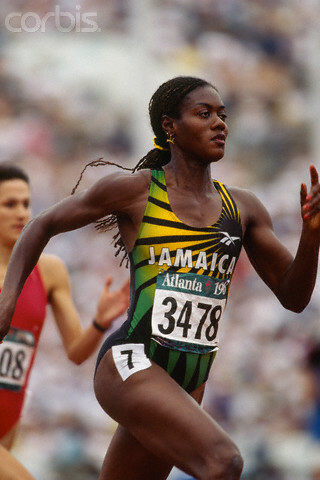 Her proclivity for earning bronze medals in major championships also earned her the title of "Bronze Queen" in track circles. 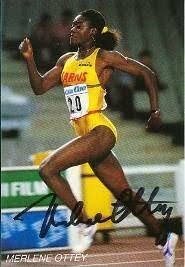 Ottey was formerly married to the American high jumper and 400 m hurdler Nat Page and was known as Merlene Ottey-Page during the mid-eighties.